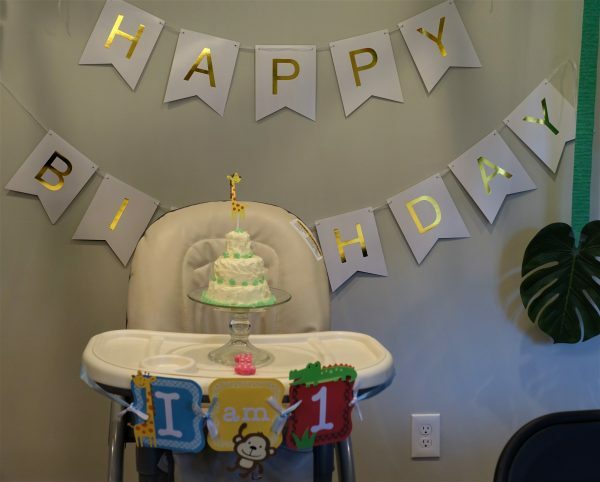 The party room is all set up for the guests and the Birthday Girl, who was celebrating her First Birthday. 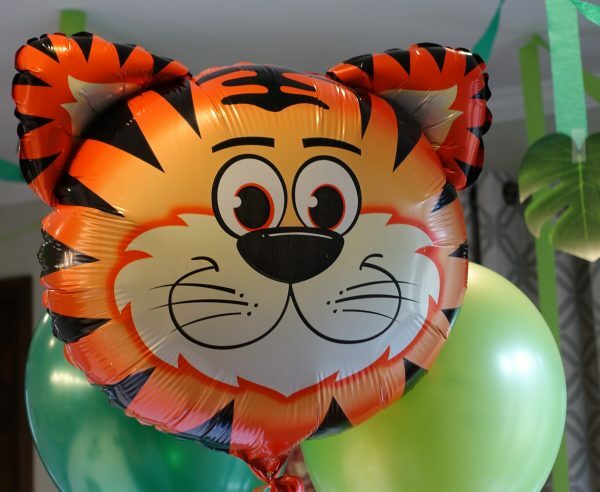 A close up view of the different jungle animal balloons in the party room. 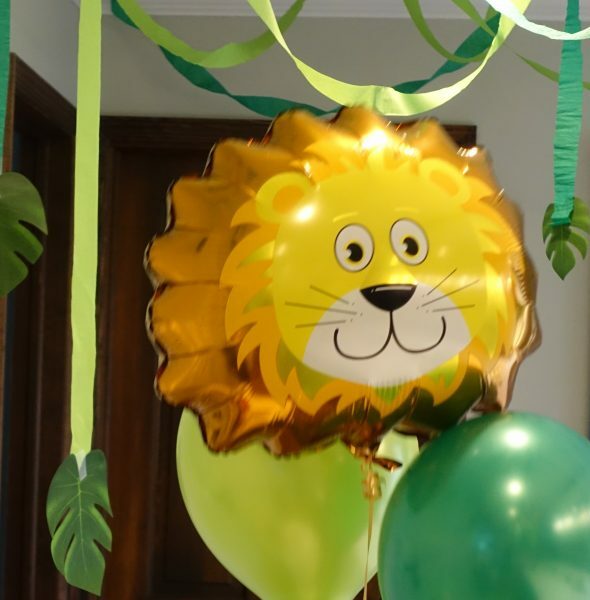 The Birthday Girl’s mom was very creative with decorations. 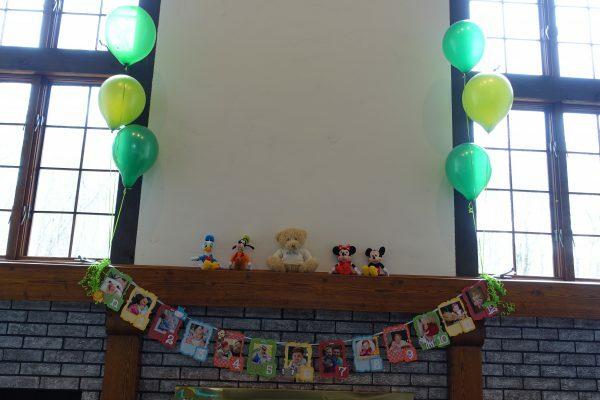 Here she used a different picture of every month of her daughters first year, and displayed them over the fireplace mantle, accompanied by some of her favorite stuffed animals and balloons. 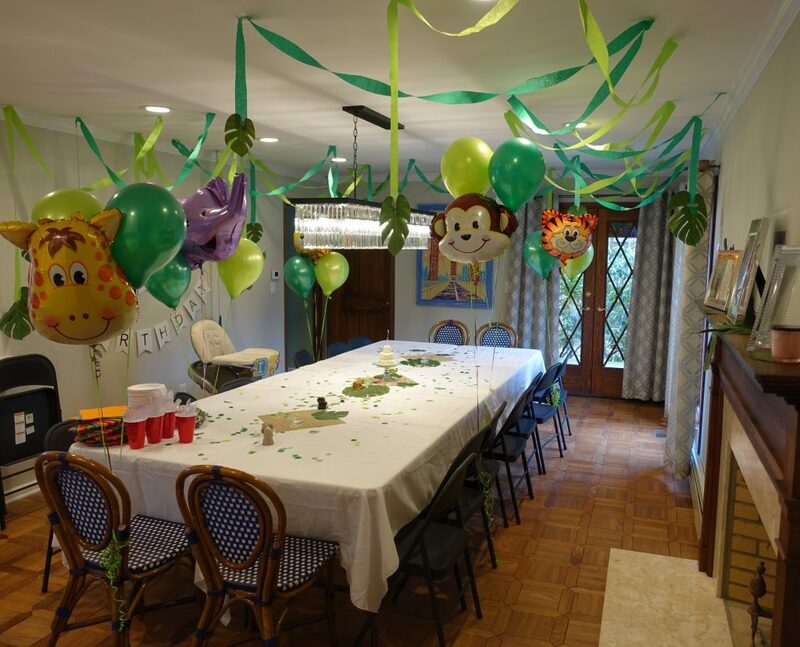 The walls of the party room where decorated with various pictures of the Birthday Girl, displayed on each leaf. 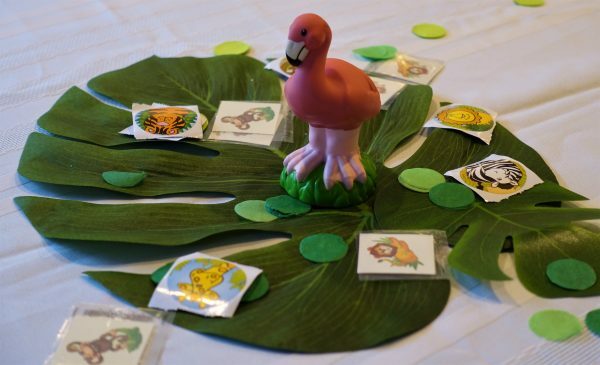 There were leaves and miniature statues of jungle animals all over the party table, and plenty of stick on tattoos for everyone to have fun with, and animal masks for to wear for a group photo. 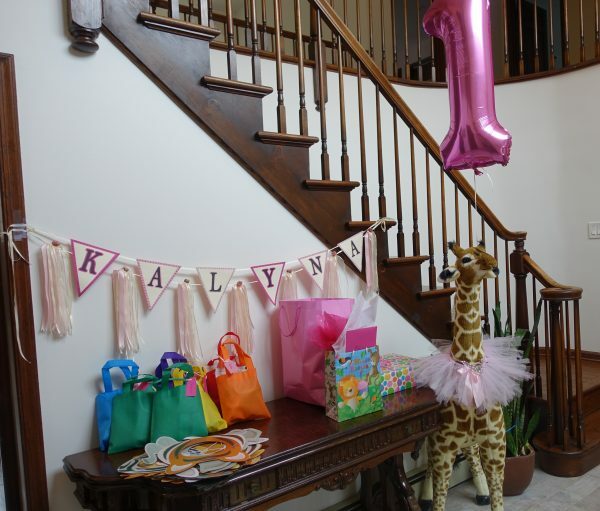 The entry hall was fancied up with a very tall giraffe (a favorite jungle animal of the mom) all decked out in her pink tutu and even a jeweled necklace….:-). 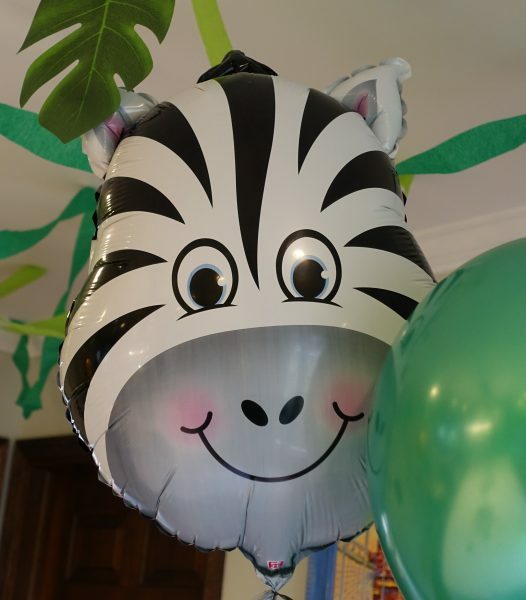 Gifts, masks, and party favors were also set up here for everyone’s convenience. 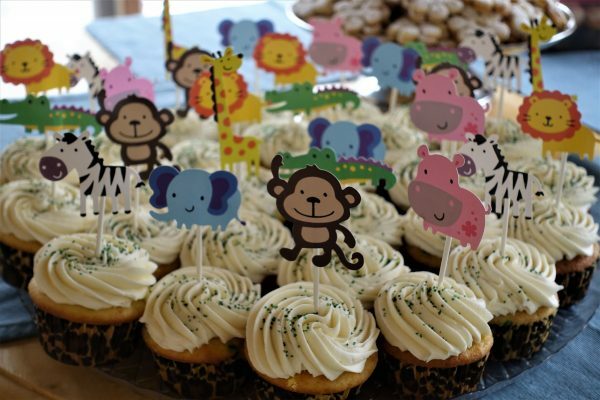 The Birthday Girl’s mom loves to bake and cook. 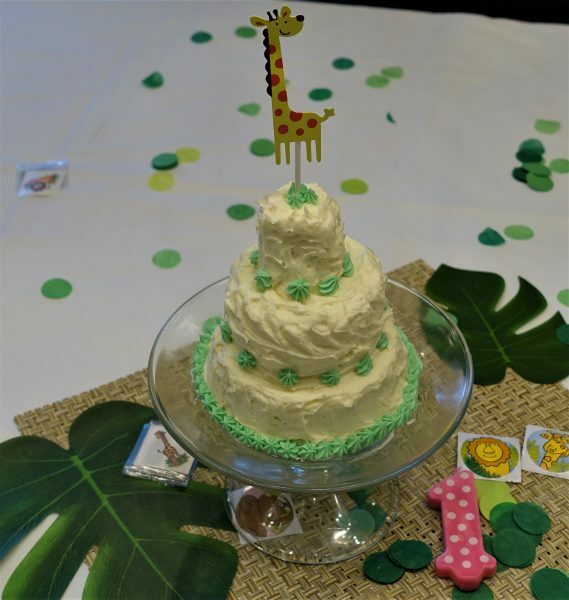 She made a special miniature 3-tier cake for her daughter, and cupcakes decorated with jungle animals, for the guests. 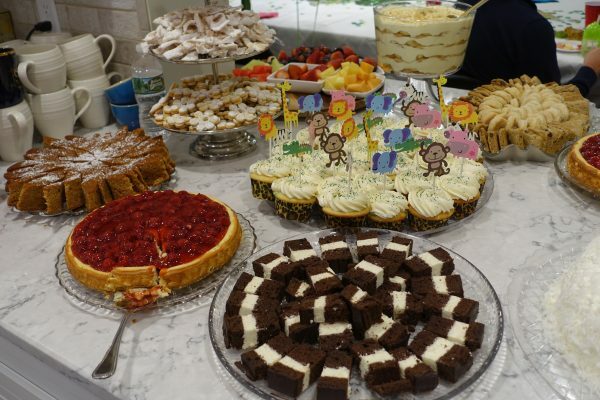 There were plenty of other yummy desserts and appetizers, plus a variety of homemade hot foods which I failed to capture in a picture. 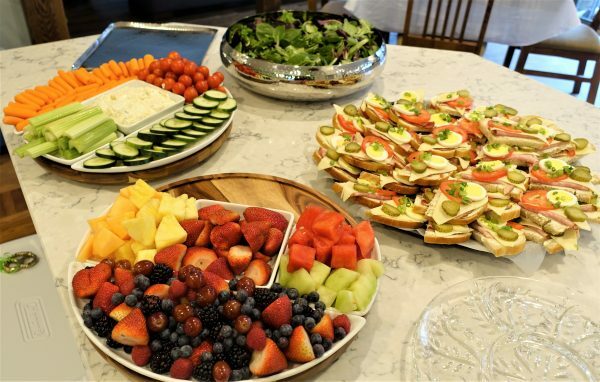 I must have been too busy enjoying the meal of varenyky (perogies), holubtsi (stuffed cabbage rolls), chicken in wine sauce, macaroni and cheese, plus many delicious veggies and salads. 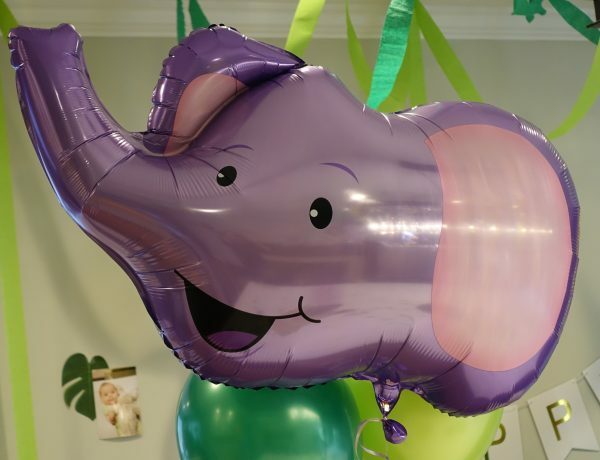 All the fun and excitement of the party exhausted the Birthday Girl and her little friends, and sent them for a long nap…:-). 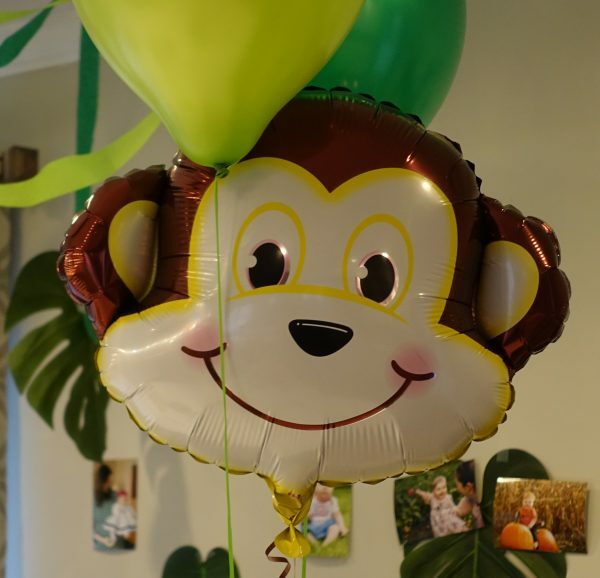 It was a prefect timing for the parents to get a break, and to socialize.